Miss Juneteenth Pageant- Thursday, June 7th, 6:30pm at Elgin High School. Juneteenth Street Dance- Friday, June 8th, 7pm at Veterans' Memorial Park in Elgin. 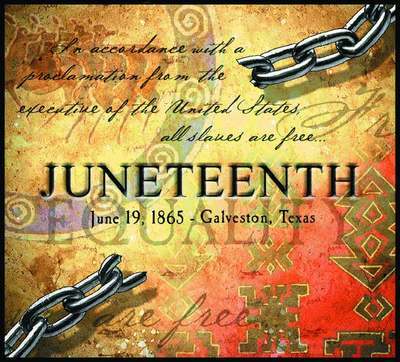 Juneteenth Parade & Celebration- Saturday, June 9th, 10am in downtown Elgin. Parade begins at Booker T. Washington Elementary and continues to Main Street, followed by activities in Veterans' Memorial Park.